A.J. Foss pioneered the manufacture of quality precast concrete products in New Hampshire, and has grown since 1963 to serve residential and commercial clients throughout New Hampshire, Maine and northern Massachusetts. 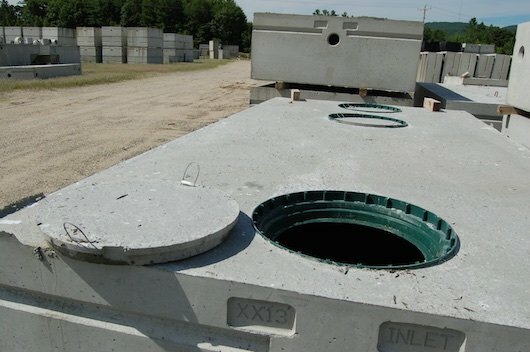 We offer a wide selection of in-stock precast concrete products and accessories, including concrete septic tanks and accessories, cisterns, submersible pumps, decorative concrete steps, concrete planters, concrete walls and fences, and concrete landscaping block — many available for same-day delivery. We are also a dealer and installer of the NORWECO Singulair residential wastewater treatment system for New Hampshire and Maine. 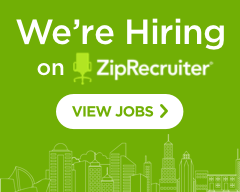 Family-owned and operated for nearly three generations, A.J. Foss is a team whose commitment to quality, value and service has earned us a reputation as the signature of quality in precast concrete products. Just ask one of our many satisfied repeat-clients throughout New Hampshire, Maine, and northern Massachusetts, and they'll tell you that we are passionate about solving our clients' challenges! Our team looks forward to supporting your projects with quality precast concrete products. Contact us to discuss your precast concrete product needs, and let us support you with the most cost-effective way to achieve your goals within your schedule and budget. Precast concrete products arrive at the job site ready to install, which can save weeks on your project timeline. Precast concrete reduces the need for skilled labor on site, decreases the site footprint, reduces construction waste and cuts down on site noise. There is no need to order raw materials such as reinforcing steel and concrete, and no time wasted setting up forms, placing reinforcement, pouring concrete, dodging bad weather or waiting for concrete to cure. Precast concrete is EASY TO INSTALL rapidly and with simple connections, for low susceptibility to damage during backfill. Contact us to discuss your precast concrete product needs, and let us support you with the most cost-effective way to achieve your goals within your schedule and budget.